Wisconsin Farm Bureau offers a variety of agricultural programs that aim to support farmers and agriculturists throughout the state. Through education, leadership, events, programs and networking WFBF strives to lead the farm and rural community. Young Farmer and Agriculturist: For young adults, ages 18-35, the Young Farmer and Agriculturist program offers the opportunity to develop new skills and grow as a leader while networking with their peers. Additionally, the YFA program offers contests that allow members to showcase their leadership skills, agricultural involvement and future thinking. Promotion and Education: Members of all ages are welcome to participate in the Promotion and Education program. The mission of this program is to develop, implement and promote projects and programs that build awareness and understanding of agriculture and provide leadership development for the agricultural community. The Promotion and Education program regularly utilizes Ag in the Classroom resources in addition to other materials. Ag in the Classroom: Ag in the Classroom is an agricultural program that provides teachers and students with an understanding of how their food is grown and produced. The program seeks to work within existing curricula to provide basic information on our nation’s largest industry – agriculture. Wisconsin Farm Bureau is committed to providing resources to support leaders within the agricultural community. Our organization offers monthly Lunch and Learn webinars for members who are interested in learning more about our agricultural programs, leadership topics, agricultural policy and other agriculture events. 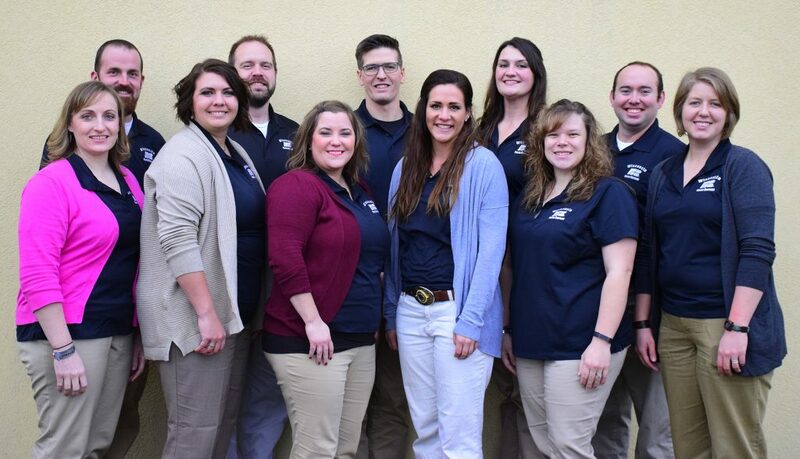 The Wisconsin Farm Bureau Leadership Institute is a year-long premier leadership development course with the mission to develop strong and effective county Farm Bureau leaders. Graduates of this course are expected to use the leadership skills and abilities, developed through the program, to become more actively engaged in their county Farm Bureau. Additionally, Collegiate Farm Bureau programs can be found on three UW campuses – Madison, Platteville and River Falls. These chapters allow college students the opportunity to have their voices heard on agricultural issues and agricultural policy. Being a Collegiate Farm Bureau member sets students up for a smooth transition into the Young Farmer and Agriculturist program. After joining Farm Bureau I quickly became involved in programs and events on a county and state level. Through those programs and events, I have learned so much about legislation that supports Farm Bureau’s grassroots initiative via policy development, teaching the younger generation the value of agriculture through Ag in the Classroom, learning more about agriculture industries and making a ton of lifelong friends through the YFA program.